Writing rituals: It’s all about the dog walk and the oatmeal and the Starbucks. Until I have all of those handled, I can’t write a word. And then even though I might start writing in the morning and not finish until ten at night, I plan plenty of breaks in between to exercise, watch Top Chef, and do other important stuff. I also tend to bake a lot when I’m feeling anxious or stuck in the plot. A loaf of chocolate zucchini bread, and I’m back on track. What I wish an interviewer would ask me: What one thing did a teacher do for you when you were young that made you believe you could be a writer? My fifth grade teacher Mr. George not only gave me plenty of opportunities to write stories that I then read to the class, he also at the end of the year gave me the book “The Writer’s Market” with listings of every magazine and book publisher that bought stories. His faith in me was really, really essential in making me believe I could grow up to be an actual, real-life writer. I tracked him down about a year ago and told him so! Big, teary phone call–it was so excellent. What inspired me to write when I was a kid: Movies. I was a total Disney junkie. I’d watch “The Wonderful World of Disney” every Sunday night, and then go to any and all of the Disney live-action movies that came out: Kurt Russell movies like “The Computer Wore Tennis Shoes” and “Now You See Him, Now You Don’t,” animal movies like “Incredible Journey” and “The Biscuit Eater,” action and fantasy flicks like “Escape to Witch Mountain”–the list goes on and on. Those movies got me psyched about storytelling. I still re-rent them sometimes to get re-inspired–and they always work! Thank you, Robin, for sharing with us! I agree that baking is a great way to give your brain a rest if you’re feeling stuck. And it’s delicious. Today’s guest post is by my friend and fellow writer, Anna Staniszewski. Anna writes young adult and middle grade fantasy and teaches writing and children’s literature at Simmons College. She was the Children’s Writer-in-Residence at the Boston Public Library in 2006, and she also maintains a great blog filled with advice on the craft of writing. One of the main things you hear about writing fantasy is that you have to spend a lot of time world-building, i.e. creating the rules and characteristics of your fictional world in order to make it vivid and believable. In her wonderful essay on world-building, Holly Lisle gives this important bit of advice: “Build as you go.” I would take this one step further and say: Build as you go, allowing your characters to lead you. 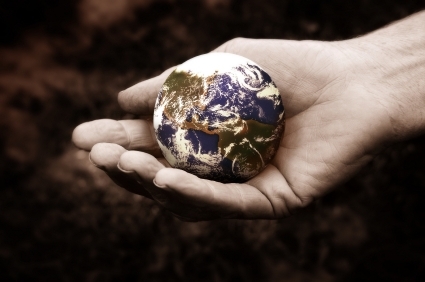 Who has the power in this world and where does your character stand in relation to that power? Is she a queen who is expected to lead her people into war to defend an ancient tradition? Or is he a peasant who isn’t allowed to enter the palace? Once you know where your characters fit into the social hierarchy, you’ll have a clearer sense of the restrictions and expectations that shape their lives. What threatens your character’s security? What would put him in danger? Perhaps the peasant boy mentioned above has a sister who’s disappeared; he has no choice but to go into the palace looking for her. Where will he be taken after he’s caught? And what happens to law-breakers in this world? Does your character have any abilities or traits that give him an advantage in this world? What if the peasant boy can sometimes see flashes of the future? In one of these flashes, he sees the outcome of the queen’s impending war. He uses the information from his vision to buy his freedom and to find his sister. When magic is introduced into fantasy with no clear rules about how it works, it can be frustrating to the reader. How come the boy’s vision warned him about the queen’s war but not about his sister’s disappearance? Perhaps the visions only come when he’s frightened, or the visions might be so vague that he can only guess at their meaning. Whatever the reason, it needs to be consistent throughout the story so that we understand when the magic works and when it doesn’t. Not only does magic have to adhere to strict rules, it needs to come with a price, e.g. every time the boy has a vision, it drains him of his strength. The greater the price for using magic, the more difficult the character’s struggle will be. What if the boy is the only person in the kingdom who has visions? Not only are there physical consequences for using the magic, there are also social ones. The boy knows others will use him for his ability so he’s kept it hidden, but when his sister disappears, he’s forced to divulge his secret. Ultimately, world-building should give us a realistic sense of the story’s setting as well as help shape the story itself. In this unique world, the characters go up against obstacles that can only be found here. The story becomes a blend of character and place, so that the world helps to propel the action forward and to define what your characters must do in order to succeed. Anna, thank you for a great post. The details about “consequences” were particularly relevatory for me, in thinking about revising my Nanowrimo project. Thank you! 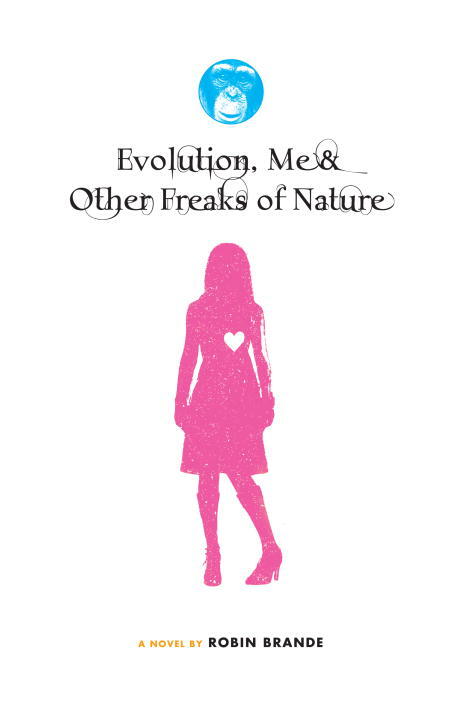 Today I have a very special blog post: an interview with YA author Nancy Werlin. Nancy is the author of many acclaimed YA novels, including a finalist for the 2006 National Book Award, Rules of Survival and one of my personal favorites, The Killer’s Cousin. 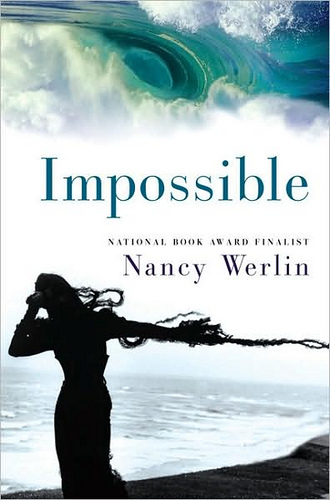 Her most recent novel, Impossible, was chosen as School Library Journal Best Book of 2008, a Booklist Editor’s Choice for 2008, and a Kirkus Reviews Best YA book of 2008. I’ve been lucky to hear Nancy speak at conferences and further pleased and honored to meet her. Do you have any writing rituals (time of day, place, food you eat, music you listen to)? I seem to pick up a different routine every few years. Nowadays I like writing at a cafe. There’s a place called Peacuddy’s a short walk from where I live, and I’m also fond of Panera Bread. A writing day in the cafe begins in the morning with a large coffee, and then I order lunch (soup and salad are best), and if I’m still there around three, it’s time for a latte and possibly a treat. I need to begin writing in the morning in order to think well. Since I fit writing in alongside a regular job (as a technical writer for a software company, three days a week), I don’t write every day. I actually get pretty angry when I hear some writers say that you’re not really a writer and are not really committed unless you write every day. What is one question you wish an interviewer would ask you? Ask me about love! (And you didn’t ask me to answer my own question, Alisa — so I won’t, not really. I doubt I could answer in a straightforward way, in an interview-ish answer sort of way, anyway.) But love is what I’m working on, these days, in my writing. My last novel, Impossible, was about love and family. My next, Extraordinary (due out in September, 2010) is about love and friendship. And soon I’ll get started on the new work, in which I want to think about love and forgiveness . . .
And faeries. There have to be faeries. I don’t really know why faeries feel so right to me these days, but they do. Name a book or author who inspired you to write. I’m a broken record on this one. It’s JANE EYRE by Charlotte Bronte. My favorite book since I was a teenager, my touchstone. This book is so alive. It deepens and reveals different layers upon every re-read. I probably will never write a book as moving and emotional and meaningful as JANE EYRE, but I plan never to stop trying. JANE EYRE is of course about love, isn’t it? Thank you, Nancy, for taking the time to answer my questions! (Note to self: be careful to word questions perfectly when you send them to such clever writers.) I wish you continued success and inspiration…and, of course, faeries. Not really. I’ll grab any snippet of writing time I can find, and any place that’s quiet and has an outlet for my laptop. Food and writing generally don’t mix for me — given the choice between snacking and writing, snacking’s bound to win. And I don’t play music while writing, though if I’m in a café and they play some nice instrumental music, that doesn’t bother me any. Given my present situation as mom to four young boys, I generally end up writing at night, and that means I write in my bed, curled up with my laptop and a portable lap desk. What’s awful about this is that I do have an office in my home. We refashioned a small bedroom with a lovely bay window into Julie’s Writing Space, but somehow it turned into The Place Where Julie Dumps Her Mail and Pays Her Bills, and Where Her Kids Dump All Their Junk. So there’s no room in the inn for me, and it’s all my fault. I write after the kids have gone to bed, because if they’re awake and popping into say hello, I can’t complete a thought. When I get the chance to write during the day, which isn’t often since I have a job, it feels luxurious. The brain fires on more cylinders in the morning. I’m happy to answer any question I’m asked, but I’ve never wished someone would ask me something particular. I just hope the day never comes when someone asks me some basic question about a book I’ve written, and I can’t remember the answer, or remember the character’s name, or whatever. This is bound to happen. I can’t remember my children’s names most days. I can read the same murder mystery twice and forget whodunnit. I have a mind like a sieve, which is why I’m a writer and not a bard. Name a book that inspired you to write. This would probably be LITTLE WOMEN by Louisa May Alcott. I realize it’s a highly fictionalized account of her life, but still, I saw myself in the writer-as-heroine identity Alcott created for herself in Jo. I read LITTLE WOMEN dozens of times in elementary school and beyond, and that’s probably where the dream first began. I loved books so much that creating one seemed like the pinnacle of human existence. I had no idea whether or not I could. I don’t remember writing stories as a child, though I did write in a journal daily. Recently I read back through some of those early journal entries, and many times I’d written, “I worked on some stories today.” This astounds me. Apparently I’ve written a fiction in my mind about my own childhood, in which I wrote no fiction, when in fact, I did. I wish I could find those stories now. Julie, thank you for your being a guest blogger! For more about Julie and her books, visit http://www.julieberrybooks.com/. Welcome to today’s guest-blogger, young adult author Jacqueline Kolosov. Since my daughter was born in January 2007, I’ve learned to be incredibly flexible–or perhaps I should I say I’m just eager to snag the time I can get. Essentially, though, I generally drink a big mug of tea while I write. Well, that would have to be, how do you get it all done–teaching, writing, raising a child? If it’s legal to answer, I’d say, by being overly scheduled and used to running around looking like leftovers. Virginia Woolf all the way, and my favorite is To the Lighthouse! Thank you, Jacqueline, for participating! I am pleased to announce that I will be sharing brief posts by other children’s and young adult authors for the next month (or more, depending on how many obliging authors I can hunt down). I will launch this new segment today with children’s poet JonArno Lawson, who spoke at the Children’s Literature Symposium at Simmons this past summer. His most recent book is The Voweller’s Bestiary. I usually write in a little notebook that I keep in my pocket at all times. Often I think best when I’m walking around. But later I sit down at my desk with my notebooks and try to sort out the good from the bad, and fill things out, or shorten them,, but it’s more of an editing process by then. . . I prefer working in the early morning. I like a cup of tea, or coffee. I find music interferes if I’m really trying to work out an idea, but it helps if I’m just refining things a little. I like Chopin’s nocturnes, and Bach’s cello suites, and I rarely stray from these. They don’t vary much in mood – there’s nothing worse than short pop songs for desk work. Doris Lessing has influenced me more than any other writer. No one’s been as brave, or generous, or as wide-ranging in her ideas. bpNichol, the Canadian poet – also brave, generous, and curious. Thank you, JonArno, for participating! For more information about JonArno’s books, please visit his website.